Bonnie Kintzer became President and Chief Executive Officer in April 2014. She joined Trusted Media Brands from Women’s Marketing Inc., the leading marketing services company serving emerging brands targeting women. Previously, Bonnie held a number of senior executive positions at The Reader’s Digest Association and was responsible for a number of the company’s largest publishing and digital properties, including Reader’s Digest, Taste of Home, The Family Handyman, RD.com and Allrecipes.com. In addition, she oversaw the hugely successful launch of EveryDay with Rachael Ray. Bonnie received an MBA from Harvard Business School. My career in the media industry began as a consultant where I was helping media executives create and execute successful strategies for growing their business. In the early 90s, one of my clients was the Reader’s Digest Association and my work with them eventually evolved into an opportunity to take on a number of senior level executive positions responsible for driving customer and client growth with many of the company’s largest brands including Taste of Home, Reader’s Digest, and The Family Handyman. Media built on strong consumer engagement is critical now more than ever. If you look at some of the most successful media brands such as Netflix, they are built on a consumer revenue model that delivers great product to consumers on multiple platforms. Whether it’s through Smart TVs, or bundled cable packages or personal devices such as smartphones or tablets, Netflix has built an impressive content stream that serves its consumer audiences. At Trusted Media Brands, we are taking the same approach by investing in digital and social platforms to expand the reach and connection of our content stream with audiences such as Millennial moms and young DIYers among others. We see multiple opportunities to expand our brands on new platforms including digital, experiential, licensed products, and multiple video formats. On the digital front, we have already had incredible double digit growth in just the past year, and are now among the top 30 out of over 2,000 digital lifestyle networks. Several of our brands including Taste of Home and The Family Handyman are among the top media brands on platforms such as Pinterest, which we believe reflects the incredible appeal of their content with new audiences. My leadership team and I share a simple vision – deliver content that informs, excites and inspires our consumers and regardless of the format, drives revenue. We’ve proven that when you deliver on this promise, you can not only grow your business but help your marketing partners grow their brands and bottom line as well. We are looking at opportunities, either through acquisitions or new products that can further extend our reach with audiences in areas such as food, entertaining, home, DIY, decorating, design, and wellness among others. Obviously, it is important that these opportunities complement our existing portfolio of brands and help us reach new consumer audiences. We have five key initiatives: 1) grow the core business, which you can see with the launch of the Reader’s Digest Mystery Book Series, 2) Grow digital ad revenue, which is driven by both direct and programmatic digital deals, 3) Launch new business, which our Taste of Home subscriber box and Family Handyman DIY University are examples of, 4) Invest where there is the greatest ROI and 5) create compelling digital experiences for our audiences. Over the past year or so, we have made a significant investment in resources, especially in talent, in areas such as our digital business where we have added more than 60 new employees with skills in everything from social media to video production. This investment along with editorial leaders who take a multi-channel approach to content creation has significantly transformed our business into a new hybrid model where we can quickly take advantage of new opportunities and revenue streams. When I returned to the company four years ago, it had been through several difficult financial challenges including bankruptcy. I was determined to put into place a turnaround plan that would again put the company into a position where it was profitable and growing. There were certainly many challenges in getting that transformation in place, or what I like to call our re-start up, but fortunately I have a dedicated team that embraced the idea that our best days were ahead of us and not behind us. By embracing that re-start up mentality, and creating a highly collaborative and accountable workplace, we were able to achieve our goal and build a strong foundation for the future. If you have great products and brands, and the right people, you can profitably serve existing and new audiences. The ideal experience for us is when a customer uses our product on multiple channels. For example, if they are looking for a great recipe for dinner, and find something from Taste of Home that inspires them on Pinterest, and then later in the day, download a recipe to their smartphone from our digital sites to help them prepare the meal. If they use that recipe to help them shop for the right ingredients and maybe even watch a video of the dish being made, that is a great multi-touchpoint experience. Of course, if they then pick up the latest issue while they are checking out of the grocery store, and eventually become a subscriber, well then we really have fulfilled the customer experience for them and our marketing partners. I’ve learned that in order to be an effective leader, you must foster a sense of accessibility and accountability to drive innovation internally and externally. 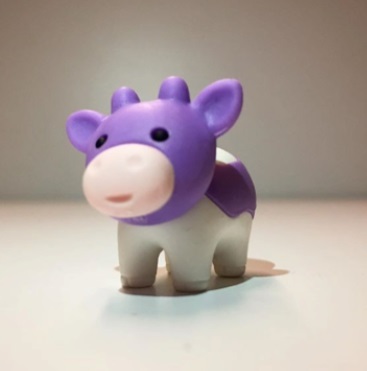 For example, we have something in our company where each quarter, we recognize employees who have contributed to the company or their business area with a Rainbow Cow. The idea is to celebrate employees at all levels of the organization that are making a difference. One of the things that I learned early on in my career is that frequently, the best ideas don’t come from the top of the organization, so it’s important to celebrate and share the ideas that emerge from within the company to help us grow. You are only as strong as the weakest member of your team. Throughout my career I’ve been fortunate to have mentor relationships with people who have impacted my career journey in many positive ways. It is important to have mentors and to mentor those who are still creating their career journey.